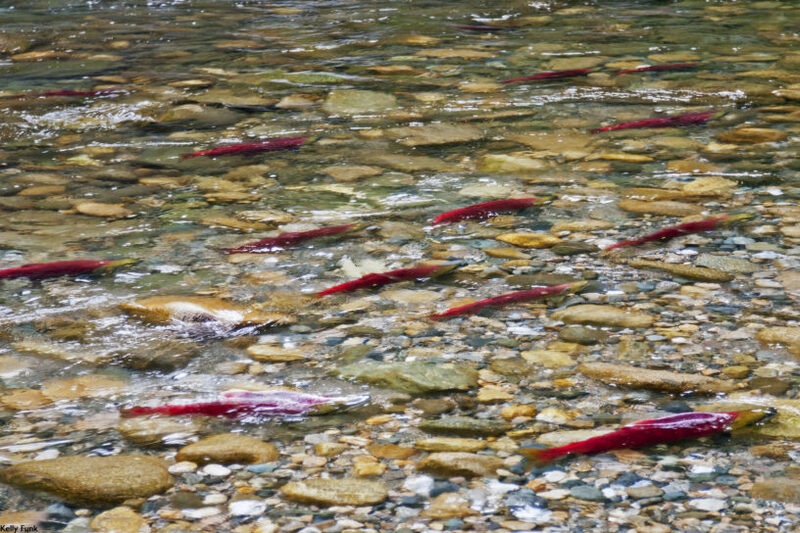 One of the largest sockeye salmon runs takes place in B.C. Dominant runs are feted with a three-week festival called the Salute to the Sockeye. Photo by Jessica Wong. 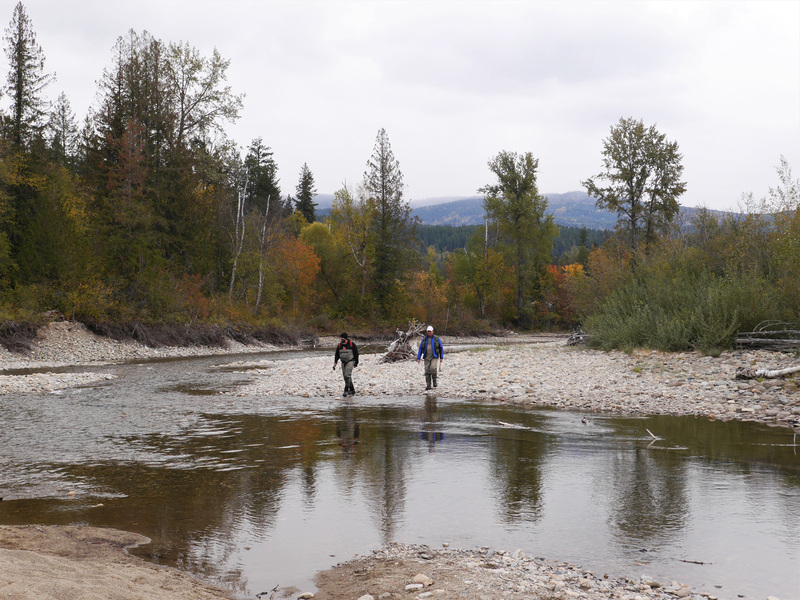 This month, thousands of people will descend upon the Adams River, a 12-kilometre stretch of water running through Tsútswecw Provincial Park just north of Shuswap, B.C. From the end of September until late October, the river serves as centre stage for one of the largest sockeye salmon runs on the continent. Although the migration happens annually, this year is a dominant run, which occurs every four years and is so called for the influx in number of migrating salmon. Over the course of three weeks, millions of sockeye are expected to depart their Pacific Ocean homes and return to spawn in the Adams River, where they were born. Along the rigorous 500-kilometre journey, the fish undergo drastic physical transformations: their bodies take on a deep red colour, their heads turn green, and the males develop prehistoric-looking humped backs and hooked snouts. They also stop eating, focused instead on the taxing journey upstream, surmounting waterfalls and rapids, while eluding capture from predators like bears, bald eagles, and fishermen. Photo courtesy of Tourism Kamloops / Kelly Funk. Dominant runs are feted with a three-week festival called the Salute to the Sockeye, put on by the Adams River Society in collaboration with the Little Shuswap Indian Band and the provincial and federal governments. While the festivities include face-painting, salmon-themed souvenirs, and food trucks, at the heart of the celebration is an opportunity for education. During the festival, visitors can take part in interpretive tours to learn more about sockeye and their significance to the environment, as well as the culture of the Secwepemc (or Shuswap) peoples. The festival may date back to the 1970s, but Indigenous peoples have been honouring the salmon spawn for centuries. 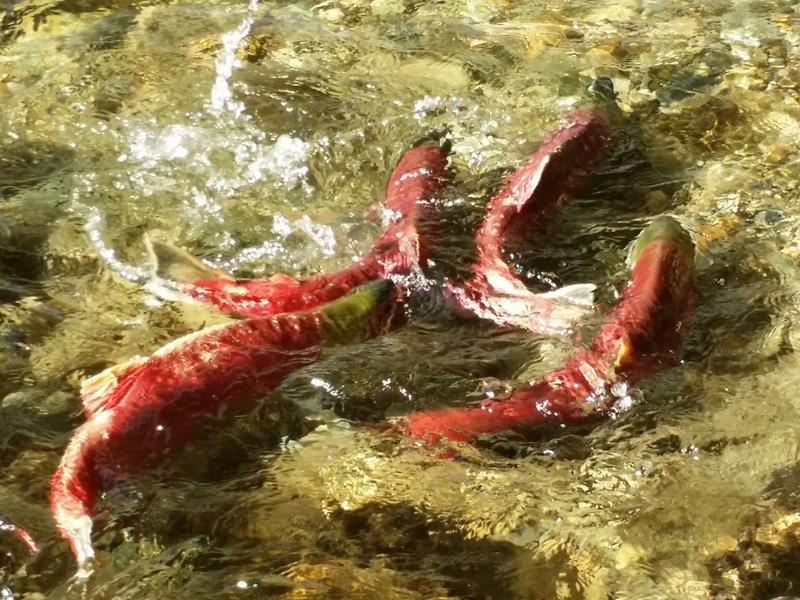 “The return of the sockeye to Adams River brings many nations together to witness, appreciate, [and] understand what a small creature can do,” says Adrian Lewis, a cultural coordinator and interpreter. Lewis is of the Nisga’a Nation, but was born and raised under the Tsimshian traditions in Port Edward, B.C. 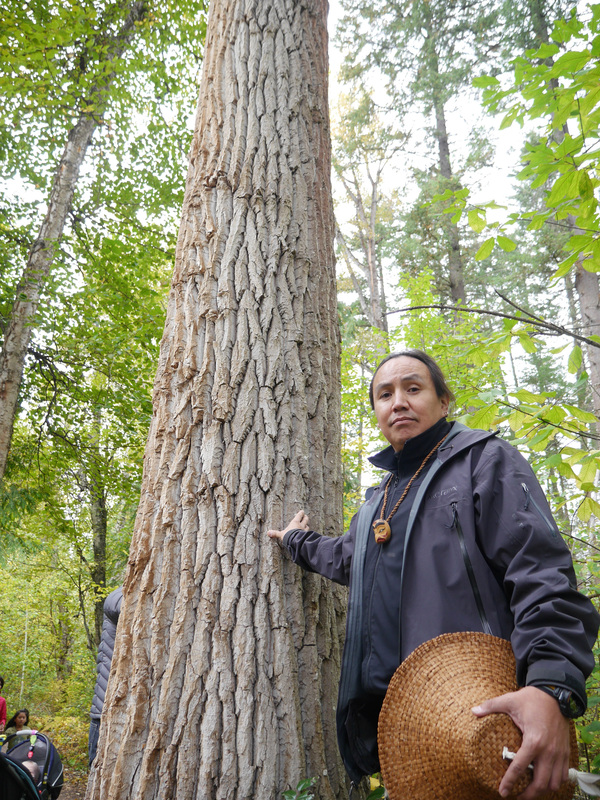 He now works with the Secwepemc peoples out of Quaaout Lodge, a lakeside property located 10 minutes from the base of Tsútswecw Provincial Park. In addition to providing interpretive walks and guided canoe tours during the Salute to the Sockeye, the lodge facilitates cultural experiences with visitors throughout the year, including drum making, open-fire cooking, and archery. 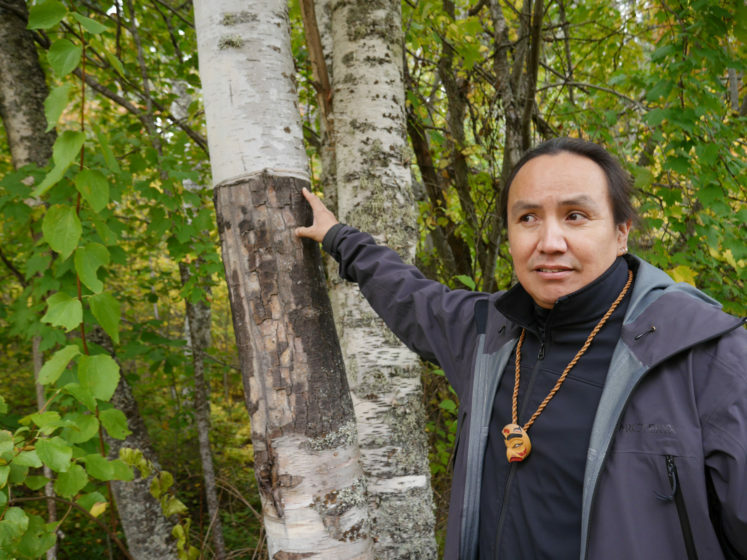 Adrian Lewis shows a birch tree that has been culturally modified. Photo by Jessica Wong. Indeed, taking responsibility for the environment feels especially pertinent today—a recent report found that there has been a 43 per cent decline in the abundance of wild sockeye in Southern B.C. over the past decade. However, through initiatives like the Salute to the Sockeye, which allows people to learn about the vital role the species plays in B.C.’s cultural and natural landscapes, there is hope that one of nature’s greatest spectacles will continue to play out for generations to come. 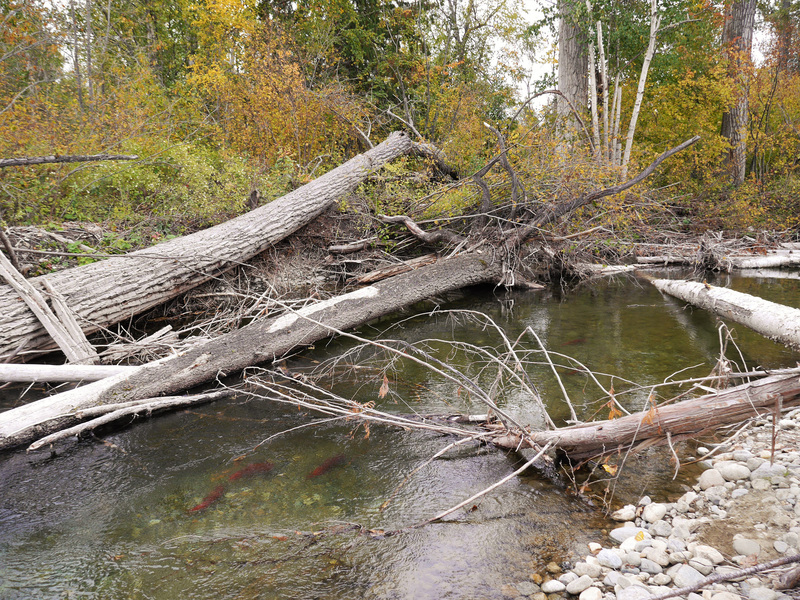 The Salute to the Sockeye Festival takes place until October 21 at Tsútswecw Provincial Park. Find more information, here.